If you are a business owner, you can drastically reduce your business expenses and meet your business goals more effectively with a little investment in joining financial courses and business training online. On the other hand, if you are looking for some lucrative career options for you, taking financial services courses online can help you land a great job soon after the completion of your course. There is a huge demand for qualified financial advisors and managers in Australia today. Most businesses seek the services of a certified financial executive on regular basis to secure their long term goals. Work of a financial professional usually entails managing cash flow, documenting and preparing company reports, creating and implementing strategies for growth, among others. Experienced professionals also help businesses, which are interested in expanding their operations in other countries, through consolidations and mergers. Joining financial or business training online is a convenient and an affordable option for both inexperienced as well professional individuals. Pursuing financial services courses online allows you to learn all the intricacies of financial and business world at your own pace. There are a myriad of opportunities available in financial sector today, and these courses are designed by taking into consideration the needs of today’s businesses. Financial professionals are always in demand in a number of industries, such as insurance, banking, lending companies, credit unions and in every large or small business. 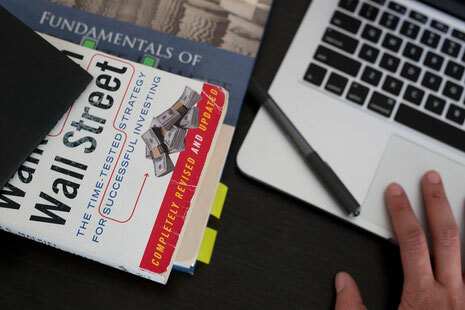 Completing these simple yet effective financial services courses online is probably the easiest and the most cost-effective way to land your dream job. Businesses can gain a lot from these online courses. If you own a business, you can take business training online yourself to bring some drastic improvements in how your business functions in the near future. If you manage a bigger organization, you can send the employees for financial services courses online. These courses will teach you and your employees how to make better financial decisions, reduce unnecessary expenses and optimize the use of company’s resources. Contact The Sales Masters; the leading and one of the most reliable online training providers in Australia, to know more about online financial and business training.